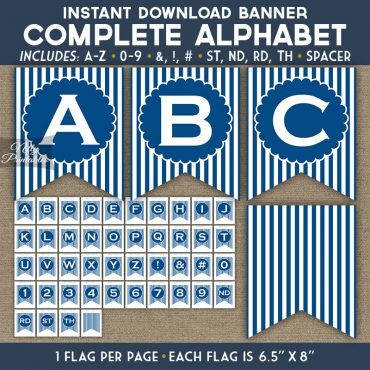 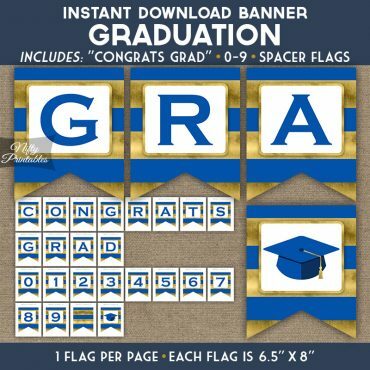 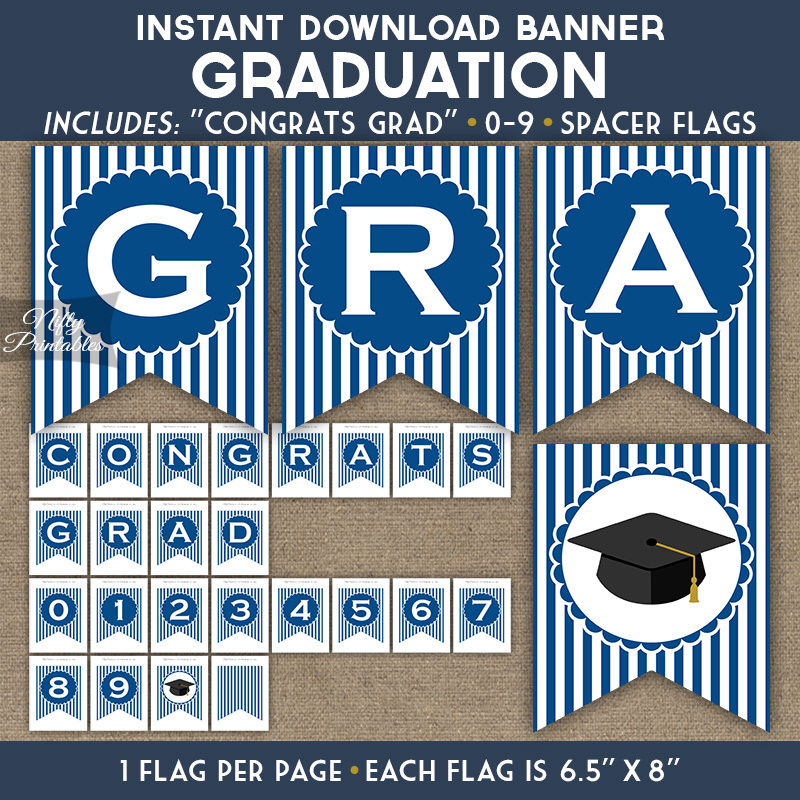 Printable graduation bunting featuring a simple royal blue and white stripe design with scalloped centerpiece and bold letters. 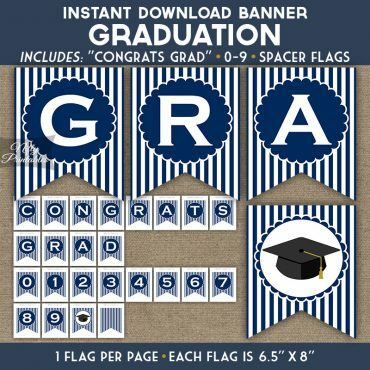 Comes with 2 spacers, the graduation cap and a striped one. 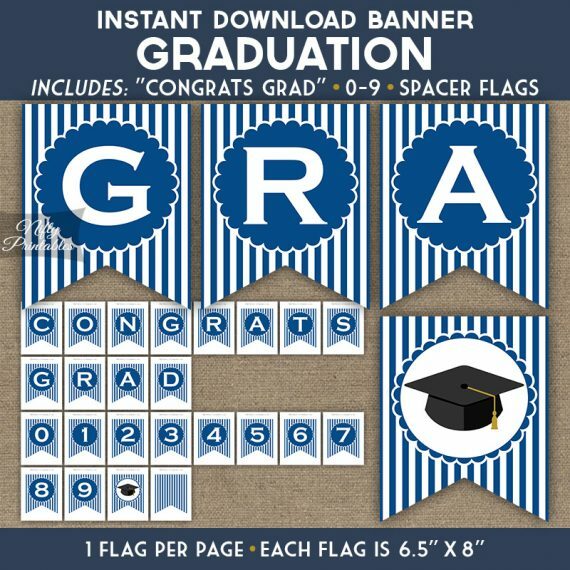 It spells out “Congrats Grad” with numbers 0-9 so you can include the year.